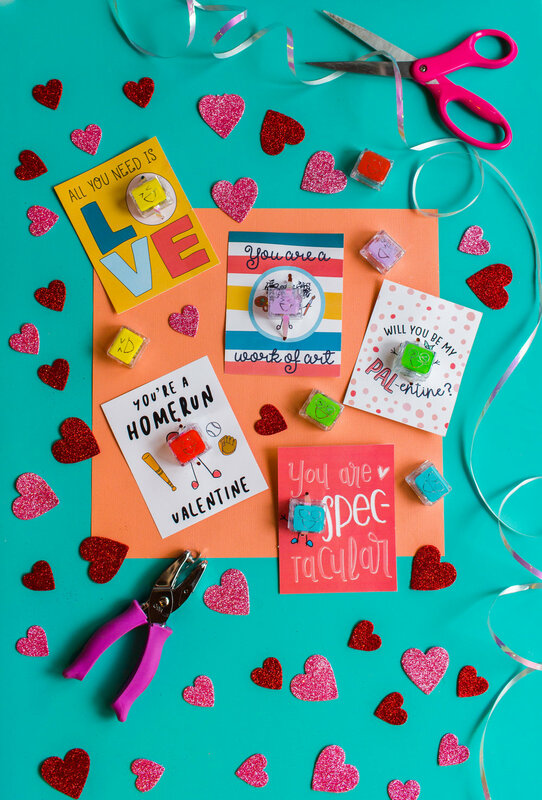 These fun Palentines Day card printables are sure to set all your Pal’s hearts a-GLO! Download the free printable below. click this image to download/print! Print your free PAL-entines card printable; make sure your print scale is set to 100% so your Glo Pal matches the face on the card! Carefully cut along the guides with a paper cutter or scissors. Closely supervise kids in this step! We don’t want our Pals to get hurt! Continue to thread through you Glo Pal until you reach the other side. Then, thread the ribbon through the second hole and secure in the back by tying a bow or knot. Last step...give to all your PALENTINES!!! And don’t forget to tag us on Instagram & Facebook!